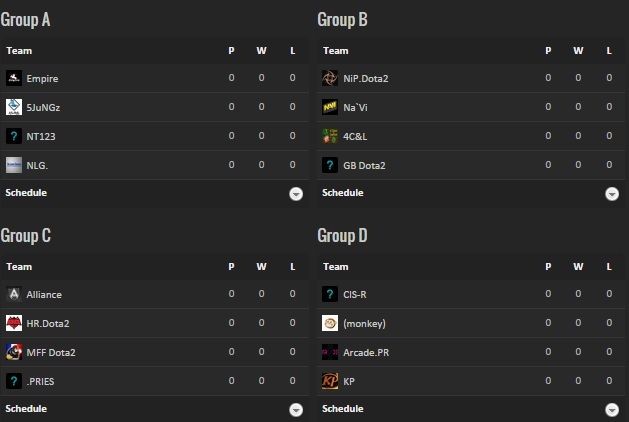 16 of the best teams in Europe will face off tomorrow in the sixth season of the Dota2 Champions League. The Dota2 Champions League is back with its sixth season, this time, 16 of the best European teams will face off for the base prize pool of $50,000. The tournament will begin on September 21th with a best-of-three between Team Empire vs No Logic Gaming; the English broadcast for the games will be done by joinDOTA. The format used by this tournament will be split into two parts, the first is a four group best-of-three round robin where the top two of each group will proceed to the second stage. The second stage of the tournament is a single elimination best-of-three bracket, but the finals and third place deciding match will be best-of-five. In the list of invitees to this tournament, there are a few teams who have put up good results in the past but have not been very active recently; teams such as Hellraisers and Golden Boys have yet to play a game after TI5 and have put up relatively strong performances pre-TI5. This tournament will feature the aforementioned facing up against the new rosters of well known teams and teams who are doing well, the results of these matches might be an indication for the future of the teams who have had strong performances in the past.